Learn to recognize and treat postpartum depression. There are few things in life as gratifying and as joyful as bringing home a new baby. There are also few things in life as challenging and difficult. Most new mothers report feeling mood swings and confusing emotions after birth, which is very normal. Hormonal changes will do that – one moment you’re elated and joyful, worried and tearful the next. While having these mood swings, also known as baby blues, is typical, they do generally go away shortly after birth. But some mothers feel a deep, lasting sorrow that doesn’t seem to lift. It’s ongoing, overbearing, and seemingly bottomless and profound. This is what’s known as postpartum depression. Rhea, 27, was rising quickly up the corporate ladder when she learned she was pregnant with her first child. She and her husband of two years were delighted, but at the same time, Rhea was harboring feelings of doubt. She’d thought she would be able to climb the ranks at work for at least three more years before starting a family. She wondered if she might get bypassed now for any promotions because she’d be seen differently after having a baby. After their little one, Finn, arrived, Rhea marveled at how much she adored this tiny baby boy. She knew deep down his arrival was significantly more important and gratifying than any project or corporate role she’d ever had. But as the weeks wore on, the nagging feelings she’d had before his birth – those feelings that told her she had lost her luster at work, and that she was now a mommy and not an executive rockstar – started flooding back in. Despite her deep love for her son, Rhea found herself in tears every day, longing to hear the sounds of the workplace – the clicking of keyboard keys, the rush of phones ringing – instead of the sounds of her little one crying. Rhea felt mortified, guilty, and confused about her feelings, which often sent her spiraling into a flood of tears, every day. A few weeks before the arrival of their baby, Adele, Elizabeth began to experience panic attacks. She withdrew from friends, who thought her sudden refusal to go out was because she was starting to nest and get their home ready for the baby. What they didn’t know was that Elizabeth was starting to “doubt everything. Amy, 36, suffered from a rarer form of depression: postpartum psychosis. It is a severe but treatable type of depression that also happens after birth. Although women can experience postpartum psychosis regardless of mental health history, those who have lived with other types of mental illness – like bipolar disorder – are at a higher risk. Postpartum psychosis can escalate quickly, and anyone suffering from postpartum psychosis should be treated with medical care and hospitalized immediately. Here, her mother shares her story. “She then started complaining of a smell in the house. She said it smelled like water. She said water had a really bad smell, and how dare we let her baby live in that smell. She started wondering if I was doing it on purpose, making the house smell, so that she would move out and I would take the baby from her. Thanks to her mother, who drove her one early morning to the hospital, Amy was diagnosed, admitted, and given antipsychotic medication. Amy’s symptoms lasted nearly 12 weeks. Having a history of past depression or past postpartum depression, or have a family history of mental illness. If you have experienced depressive episodes before, or you had postpartum depression after a previous pregnancy, you are at risk. If you have experienced prenatal high anxiety, depression during pregnancy, or hormone-related disorders, you are also at risk. Lower socioeconomic status. Some studies have reported that because of the added financial strain of a new child, mothers of a lower socioeconomic status are at risk of postpartum depression. Feeling negative about the pregnancy, or experiencing an unwanted pregnancy. A 2006 study showed that having a negative attitude toward pregnancy doubles the risk of postpartum depression. For women who live in or have grown up in certain cultures and households, where unplanned premarital pregnancy is generally unacceptable, postpartum depression may also be a possibility. 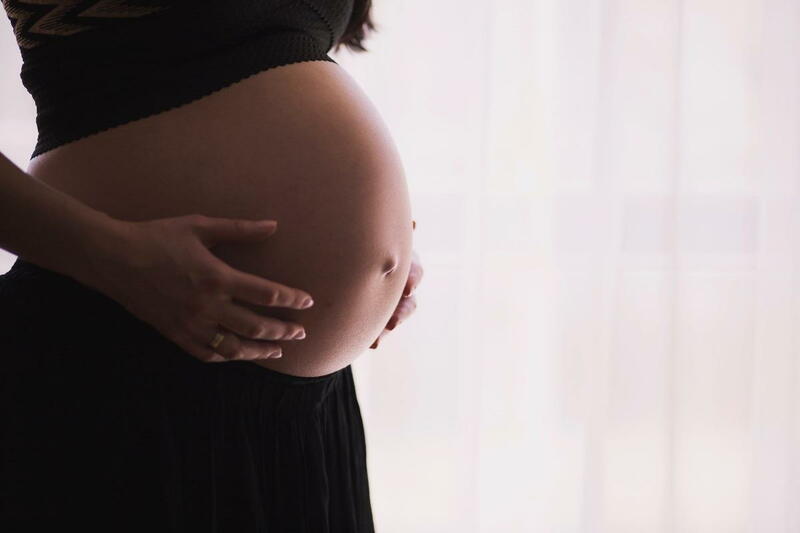 Negative attitudes about pregnancy isn’t limited to not wanting to be pregnant – it can include poor physical health, perceiving or experiencing complications during the pregnancy and fearing the possibility of an unhealthy pregnancy because of previous pregnancy loss. Lack of a strong support system. 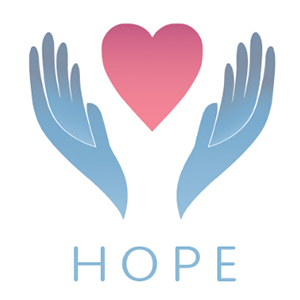 If you are living in a tense, conflicted household; in poor accommodations; don’t have access to proper medical care; don’t have a good friend or family member to support you; are being abused; or experiencing conflicts with loved ones over child and pregnancy care, you may also be at risk for postpartum depression. Baby-related problems. Once you’ve delivered your baby, you may experience some challenges – some much more severe than others. It could be that your baby is unable to nurse. It could be that your baby has developmental issues. It could be that you are disappointed in the gender of your baby, or that your spouse is disappointed in the gender of your baby. It could be that you are simply exhausted and are unable to get any rest. Any and all of these factors puts you at risk for the development of postpartum depression. As mentioned, there are typical baby blues – sad feelings that come after the birth of the baby. Those are perfectly normal. However, if your sadness doesn’t seem to go away over time, or you feel burdened and overwhelmed by negative emotions, seek the advice of a mental health care professional. These symptoms are typical, and last only a few days to a couple of weeks. Postpartum depression may start with baby blues symptoms, but is much more intense and long lasting. Postpartum depression can begin during pregnancy, in the first few weeks after delivery, or up to a year after birth. If left untreated, postpartum depression can last for several months, and in some cases, years. If you are experiencing any of these symptoms for more than two weeks, and things seem to be getting worse, see a doctor or mental health professional right away. This condition is rare, and it is severe. Postpartum psychosis* typically occurs one week after birth. If you are experiencing any of the above symptoms, seek medical assistance immediately. If you are experiencing postpartum depression, know that you are not alone. There are many ways to treat postpartum depression, and before you know it, you will have recovered and will be back to enjoying time with your baby and family. Counseling and talk therapy. Cognitive behavioral therapy (CBT) is a common treatment for postpartum depression. CBT helps you reframe your thoughts and feelings, which are responsible for how you behave. You will learn new skills in problem solving and stress management, as well as how to think realistically and relax. Interpersonal therapy (IPT), which focuses on relationships and how you manage changes within those relationships, may also help. Support groups. When you are in the company of one or more people who have experienced or are currently going through a similar obstacle, you feel supported and understood. Find a support group where you can share your experience and where you can connect with others who have the utmost compassion for what you’re feeling, because they’ve been there too. Self-care. In the beginning, it might seem difficult to even go to the bathroom or take a shower – new babies are challenging! It may be helpful to ask for the support of a friend or family member, who can come over and watch baby while you take a bath, or eat lunch without interruption. Sleep when baby sleeps. Do your best to take even just an hour a day to do what you love, independently or with others, so you aren’t so overwhelmed by the challenges of new parenthood. Don’t consider it selfish to want to take a bit of a time-out. It’s good for you, and ultimately, good for baby. Medication. Sometimes, self-care and talk therapy just isn’t enough. Your doctor may prescribe antidepressants to help combat your postpartum depression. Many antidepressants have been found safe for use while breastfeeding, but it’s really important to discuss with your doctor the risks of any medication you’re taking while nursing. If you’re taking medication, it’s a good idea to continue counseling – the two methods, together, will help you get recovery faster and more successfully. *Please note that if you are experiencing symptoms of postpartum psychosis, seek emergency medical care immediately. If you are experiencing symptoms of postpartum depression, and would like to speak to a mental health professional, contact our offices today.